Do you remember this being a thing? I don’t. 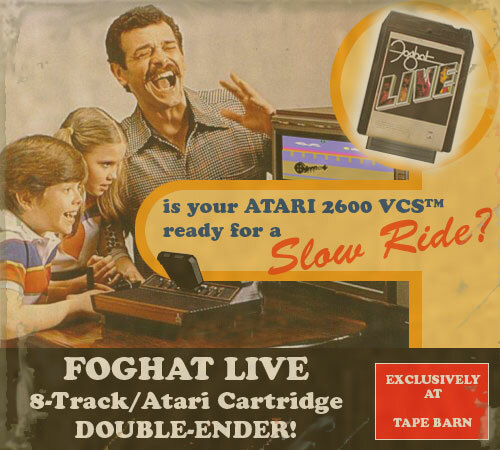 I do remember the Atari 2600 — plenty of people do. They were all over the place, one of the earliest and most popular video game systems. But this ‘double-ender’ thing… really? I had no clue before I saw this image. But apparently they saw some success and were an early attempt to mate theme music to games in a way that made sense (and sounded better than the often-cheesy SFX of the 2600). But my point isn’t “look at this weird thing from the past”… although it’s admittedly a side-point. My point is, we forget a lot about the past. We’re here, and it’s back there. As with seeing and hearing, the farther something is from us, the less detail we perceive. The same is true of time. The farther back in time a thing is from us, the less we know about it (in general — historians generate specific and focused exceptions). When I’m writing a story that takes place a century or two in the future and the past becomes relevant to the characters, I have to ask myself what they might know and what they might not. What is important to us now, or at least present in our general knowledge, that will be lost to non-historians or entirely lost to the people of the future? If I’m writing something set fifty years from now, maybe they have no clue what Glee was, or that you couldn’t hang a TV on the wall with thumbtacks like a poster. Ten thousand years from now (and I have a couple of stories set that far ahead), and maybe they don’t know what a ‘nation’ was. Knowledge, like the proverbial pebble dropped in a pond, casts a ripple effect. Knowing one thing implies knowing what a thousand other things are, and it shapes how a person behaves in entirely unrelated matters. Lack of knowledge acts the same way. And the way you handle that and understand that in your stories about the future will have a ripple effect upon the quality of those stories. Excellent points. So much focus is on what parts of the present will ripple forward to create the new tech or mores or whatever of the future. It’s fascinating to think of what’s been forgotten, and we don’t have to look too far backward in our own time traveling through life to see things that never went anywhere, branches toward the future that got snipped. Thanks for posting this. It’s given me a lot to think about. …which opens up a whole new range of wonderment: what do we think happened or existed in the past that was actually just a joke or story or hoax and never actually existed?